This has been on display at the store for years and so many people wanted to have a class on this bag. This is a pieced and quilted bag. There are many opportunities to be creative to make your one of kind bag. 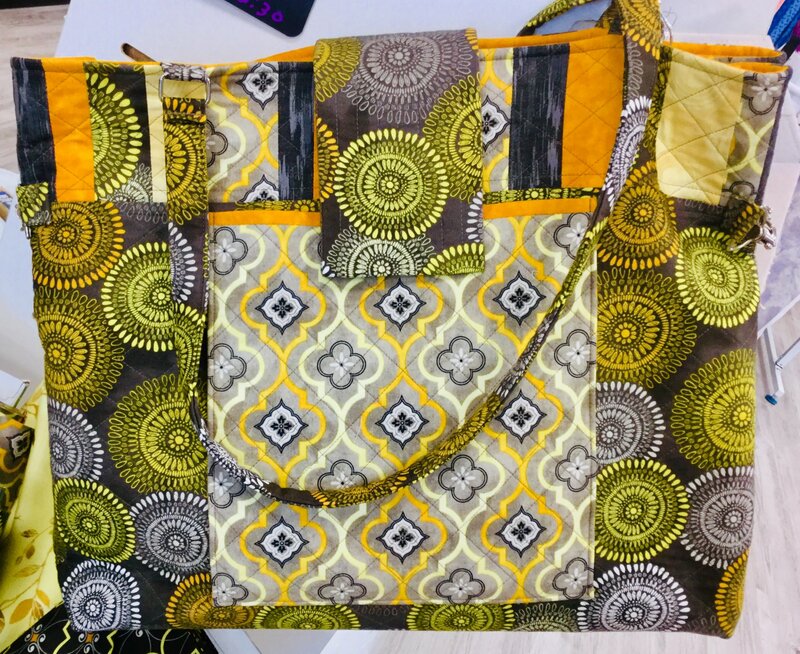 You buy your own Fabric, stabilizer and hardware for bag.